“Xstrata’s silence speaks volumes. The miner is just waiting for a proposal after Ivan Glasenberg, the head of Glencore, made clear that he is gunning for the London-listed multinational, in which the commodities trader owns a 34 per cent stake. Breaking a decade-long silence, Mr Glasenberg says he sees value in combining Glencore with Xstrata. ‘Why has that not happened? It is a value debate. Xstrata … seems more comfortable for Glencore to go public and get a market price before they may or may not enter into discussions,’ he adds. Glencore plans to float 20% of the company, worth some $12bln, in an IPO. Current management will retain majority shareholdership. Glencore today announced the composition of its new board of directors, which will include former BP CEO Tony Hayward and former Xstrata CEO Peter Coates. 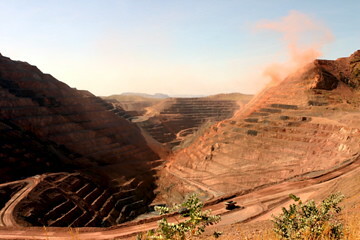 The trend to stronger integration of mining firms and trading firms (the trader’s value chain), which is exemplified by the potential Glencore/Xstrata merger, can also be seen in Chinese Minmetals’ foray into mining by forming MMR earlier and planning to acquire Equinox this month. Now that it appears Glencore will IPO prior to merging with Xstrata, its options to combine the two firms are to buy all other shares of the company, to try to get 50%+ of the shares to enable financial consolidation, or to pursue a real (share exchange) merger. With Xstrata’s current market value of $67bln (and Glencore holding 34% of the shares) gaining control will cost Glencore at least $12bln, with a full takeover costing over $45bln. Glencore will be able to use the $12bln raised in the IPO, could leverage this by taking on more debt, and could issue additional shares in a later stage to raise more capital, but it will likely try to convince Xstrata shareholders to accept Glencore shares as a (partial) payment. In this way the combined company will retain significant firepower to do additional opportunistic acquisitions.